Hailing from Nashville and having helped innovate the inline recording console configuration Harrison have a recording and mixing legacy that includes many world renowned recordings, dating back to the 1970’s. Their first film console was launched in 1979 and with the introduction of the SeriesTen in 1985 Harrison pioneered digital control of a signal path, and with it the potential to automate and recall almost every parameter on a console. Innovation, combined with close collaboration with customers at the heart of the world’s leading film market, helped establish Harrison as the Hollywood standard film console. With the benefit of increased financial and engineering resources arising from their acquisition by GLW Inc’ in 1989 Harrison brought all of their industry knowledge to market with the release of the MPC4 in 1992. Advances in digital technology, alongside film industry demand for bigger and more complex mixes, led to the release of Harrison’s digital.engine in 1998. 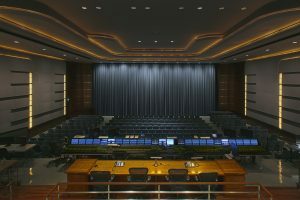 Harrison’s modular application of digital control to the mixing process enabled them to offer the digital.engine as a replacement back end for existing MPC and Series 12 consoles, increasing the capabilities of these previous installations. ‘PreView’ gave audio waveform display of input sources, storing the waveform which allowed non linear viewing of a signal in the channel strip. With multiple MPC4 systems still in place in industry leading facilities in Hollywood and the world over, Harrison consoles continue to be loved by many industry’s leading mixers. Work on the company’s mixer range continued with the release of the customisable Trion surface in 2005 and the latest incarnation of the MPC series, the MPC5 in 2013. The MPC5 incorporates a Trion-based surface and updated monitoring system. 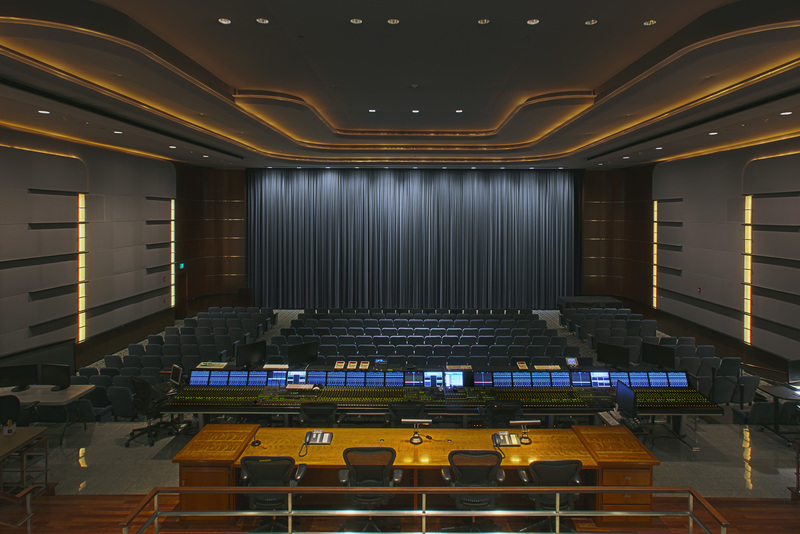 The Object++ 3D panning system introduced the capability to perform object based mixes catering to multiple mix formats and includes direct Ethernet control of the Dolby Atmos RMU.